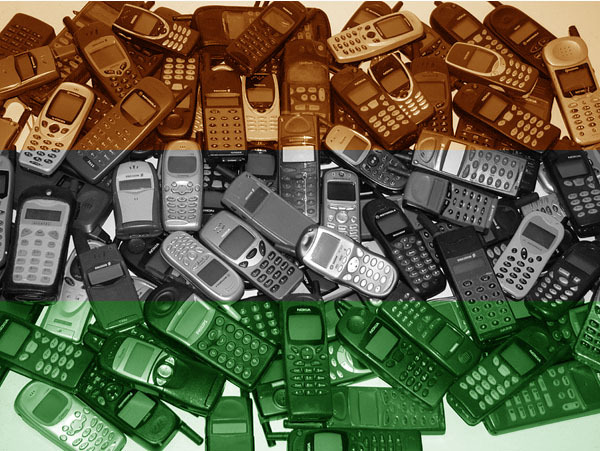 According to a report by research firm Gartner, the Mobile handset market in India is bound to increase by 8.5% taking the total number of mobile phones in India to about 231 million in 2012. In 2011 this number is said to reach 213 million units in 2011. At the end of Q3 2011, Nokia dominated the market by maximum devices sold, which was followed Samsung which stands at number two. Trailing behind them is China’s G’five which is giving tough competition to these global brands. India’s own Karbonn Mobile and Micromax get the fourth and fifth place respectively. The multi-nationals indeed get a stiff competition from home-grown companies which have weakened the position of global brands in the low-end segment. The average selling price (ASP) of a mobile device is approximately USD 45, with 75 per cent of devices sold costing below USD 75 in India. India accounts for 12% of the global sales of mobile devices and Smartphone sales in India made up 6% of total device sales in the first three quarters of 2011. According to Mr. Gupta this figure is bound to increase by another 6% in 2012.